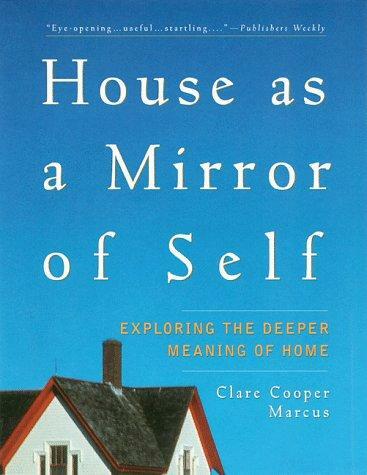 As a designer, the book “House as a Mirror of Self” has always been a favorite. I’ve read and referred to it many times and thought it might be interesting for you to put it to the test in your own life. The book is not really about design. It’s about psychology and it’s effect on design. It’s about how and why we make choices on where to live, what house to buy and what we put in our homes. There are many underlying reasons why we are attracted to particular homes or styles. Much of it has to do with our childhood memories and our longing to re-create those safe, happy places. When we are able to create surroundings reminiscent of those childhood memories they become reflections of our deepest longings . In doing so, we are able to re-connect with our happiest times. As adults, we fill our interior spaces with objects that reflect our sense of “self” . In the process, as we look back, we can see how and why we developed a particular style . I began thinking about this concept and realized that I have done this myself, many times over the years- unaware of why I was doing it and oblivious to the fact that I was “doing” anything except buying things I liked. I never stopped to consider “why” I was drawn to specific pieces. In my grandmother’s house- she had an attic, which was bright, sunny, clean and wallpapered in a delicate floral pattern . It had lots of little spaces filled with all sorts of treasures, neatly tucked under the eaves. There was a bed up there, and occasionally, I got to to sleep in that comforting little nook, surrounded by her old clothes, hat boxes and my Dad’s high chair from 1923.. I felt safe in the midst of all that family clutter, knowing these things belonged to people I loved long before I was even on the planet. Old things that had a history always made me feel hopeful that somehow, because these items came from the past, there would also be a future. I wish I were a minimalist but I am not. And no matter how much I try to clear my space of “things”, I can’t for any extended period of time. I am not a hoarder, by any means; but I find the presence of things I love to be essential to maintaining calm and peace inside. My home is my sanctuary, as it should be for everyone. So, it’s natural that we would create a visually pleasing and comforting space to help us survive the craziness of the world. I think, in part, it’s because those days- long ago in my Nana’s attic shaped my perception of what a safe space looked and felt like. In that safe space I was surrounded by things that were cherished by her. It was a connection to her, to her past, to her life, to my family. Safety and happiness looked a bit like the clutter in her attic. So, for almost all of my adult life, I have loved antiques, fabrics, trinkets gathered from around the world; pieces that bring me joy when I look at them; things of beauty, books, books and more books. My grandfather had a library in his home and I remember sitting in that special quiet room with him, talking, reading and listening to the radio. That is one of my most cherished memories of time spent with him. So naturally, I am and always have been, drawn to reading and books. Whenever I read, there is a fleeting glimpse of the comfy library and time spent with him. I have no particular design style. I guess you could call it “Multiple Personality Design Disorder”. It’s changed throughout my life, based on what type of house I’ve lived in and where I was in my journey.My problem is that I love beauty and it comes in so many forms. I have a great love for wind chimes; always have. For many years, I never bothered to analyze it. I have 13 of them hanging under my pergola on the patio. Where does this passion for wind chimes come from? After reading the book and putting it’s theories to the test, I trace it back to my mother’s parents’ house. My Nana had one wind chime on her front porch, which I never really noticed during the day. But, at night when I went to sleep in my mother’s old bedroom, my Nana would open the window and I would hear those chimes tinkling below me. It wasn’t just any old wind chime. It was from Japan and it was made of long, thin, flat pieces of glass, so the tones were very high and delicate. To this day, that is my favorite sound. ( I even have wind chimes as the ring tone on my phone!) I only have one chime that sounds like the one my Nana had and every time I hear it- I am back in that little bedroom; with it’s crooked, old board floors. I am seven, once again, there in that safe and special place where at night, I looked out the window at the big, old buttery moon, heard leaves rustling in the trees and delighted in the tinkling of that one Japanese Glass wind chime. Try going back in your memory, thinking about places that made you feel happy and safe, as a child .See if any of those things can be connected to your present day surroundings or your preference for certain things. It’s an interesting exercise and I promise, it will only bring you joy…and perhaps a new understanding of how and why your House is a Mirror of your self.